The Amethyst Deceiver Fungus (Laccaria amethystina) found on Kinson Common. 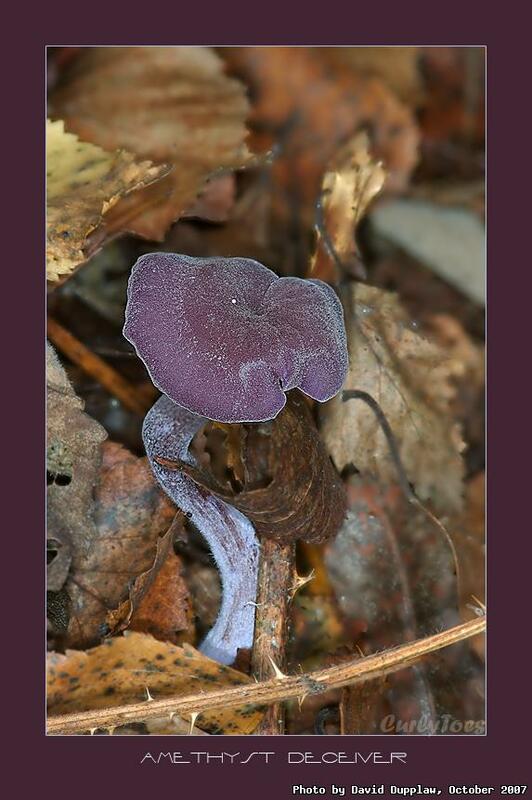 The deceiver family of fungi are called deceivers because they are often difficult to identify due to the large range of colours they can realise, but this young Amethyst Deceiver lives up to its name. These are, in fact, edible and, according to my book, are worth collecting if they are found in abundance. This one was very much alone. This is a 2-photo focus-stack.